Amherst Property Management, Amherst Property Managers, Amherst, MA Property Management Companies. For all your Real Estate & Management needs in the Pioneer Valley. We offer a full range of property management services tailored to you as an investor, homeowner, or landlord. We have an extensive portfolio of managed properties in the greater Amherst and Northampton area. We can complete an initial property evaluation and review to assess positioning and optimal rental rates for the market. We will tour the property with you and deliver ideas on strategy to optimize your return on your property. We offer an extensive marketing program, that includes promotion across a network of online sources- both national and local. We also maintain an exclusive list of prospects, and cross-sell our units to prospective tenants. We offer yard signage (if requested) and conduct property specific marketing efforts as needed. We employ cutting edge tools in managing our application and screening process. Backed by TransUnion, our background and credit checks provide thorough information to help in analyzing a possible tenant approval. In addition, for properties that permit student tenants, we have further steps and information that is gathered and processed, by our staff, prior to any acceptance. We handle all aspects of tenant deposits, paperwork handling, and proper administration of the formal rental process necessary to secure your property. We administer all aspects of the Lease preparation with both prospective tenants and renewals with existing tenants. 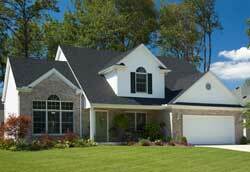 We offer a courtesy lease as a guideline, or are happy to work with the lease you provide. Copyright © Valley Real Estate Company, LLC, DBA Valley Rental Company . All Rights Reserved.